Moving to Southampton from the U.S. Even though it's a major United Kingdom port city, not all containers vessels call Southampton port directly. In the case that you are moving household goods to Southampton as part of your international relocation, do not be surprised if your shipment first gets routed to one of the following ports, and then delivered to your home. If you've elected to use our consolidated shared containers, most are off loaded into a warehouse in or around London first. From the unloading warehouse, your household goods will then be delivered by local delivery van to your new home. The type of service really depends on whether or not you want to request to use local storage. However our friendly delivery crew will do all they can to make your experience a positive and stress free one. Finding the local town hall, police station or emergency center is relatively easy as they are close by and easily accessible via public transport. Like any international move, those relocating from the U.S. to Southampton will probably find it beneficial to know where the establishments listed above are located. 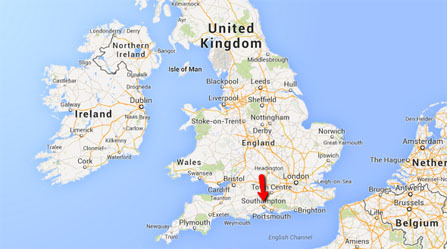 Where in Southampton are you Moving? The city itself only around 20 sq miles but when combined with Portsmouth, the metropolitan area is actually the 6th largest in all of the UK. Regardless of where your household goods need to go, we will be able to deliver them right to your door. Call us today at (562) 408 6677 for any additional questions and get a free moving quote online to find out how much your move will cost!